Can Supporting an Exadata Database Machine Make You Certifiable? Since launching in mid-2011, Office 365 is one of the fastest-growing businesses in Microsoft history. After only 18 months, one in five of Microsoft’s enterprise customers now has the paid service, up from one in seven a year ago. The number of small and midsize businesses using Office 365 has also grown by 150 percent in the past 12 months. Today Microsoft continued the wave of Office 365 momentum, announcing three new customers — Hamburg Port Authority, which manages operations for Europe’s second-largest port; Midroc Europe, a property development and management organization composed of 15 companies across Europe and South Africa; and Sephora USA Inc., a leading specialty beauty retailer. These customers join others that are choosing Office 365 across business, public sector and education, including the State of Texas, International Federation of Red Cross and Red Crescent Societies, Helly Hansen, Tesco, Toyota, Barilla America Inc. and the City of Chicago. • Office 365 ProPlus. Office 365 ProPlus includes the latest and most complete set of fully featured, rich Office applications — Word, Excel, PowerPoint, OneNote, Outlook, Publisher, InfoPath and Access — delivered as a service, on up to five devices. People can now simply sign in to Office 365 from any of their devices, and their documents and personalized settings roam with them, allowing them to quickly pick up right where they left off. IT departments also get the controls they need, including the ability to run Office 365 ProPlus side-by-side with other versions of Office and tools to streamline and manage updates for their users. Office 365 ProPlus is available as a standalone offering for $144 per user for an annual subscription and is included with the updated premium Office 365 Enterprise offerings and the new Office 365 Midsize Business. 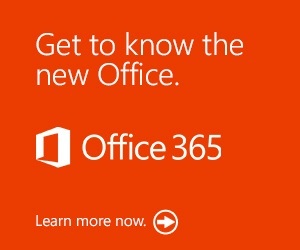 • Office 365 Midsize Business. 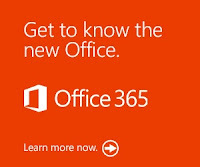 Office 365 Midsize Business is designed for medium-sized businesses with 10 to 250 employees. This service includes Office 365 ProPlus and provides midsize businesses with enterprise-quality communication and collaboration with Exchange Online, Lync Online and SharePoint Online — along with the simplified IT tools they need to maintain control while reducing complexity. Active Directory integration, a Web-based administration console and business-hours phone support are also included. Pricing is $180 per user for an annual subscription, the equivalent of $15 per user, per month. • Office 365 Small Business Premium. Office 365 Small Business Premium is designed for small businesses with one to 10 employees. In addition to the complete set of rich Office applications, this service includes business-grade email, shared calendars, website tools and HD videoconferencing capability in an easy-to-manage service that does not require IT expertise. Pricing is $150 per user for an annual subscription, the equivalent of $12.50 per user, per month. More than 10,000 people around the world told us how they spend their time. With all your ideas and information in the cloud you can manage your life from almost anywhere. No matter what the chore, new features in Office 365 can help you get tasks done more efficiently. Technology helps you keep everything you need at your fingertips, when you need it. Technology can help you save time to do the things you value most. Do more of the things you love to do. Go to Office.com to try, buy or learn more. With today’s general availability of Office 365 for all businesses, the new Office is now fully available to businesses, academic institutions and consumers. In addition to the business services announced today, on Jan. 29 Microsoft launched Office 365 Home Premium and updated versions of the traditional Office suite and servers. Customers can purchase Office directly from Microsoft or through an authorized retail outlet or partner. More information on Office and how to sign up for a free trial is available at http://www.office.com. Gavin King is leading the development of Ceylon at Red Hat. He is the creator of Hibernate (persistence solution for Java) and has also contributed to the Java Community Process standards as Red Hat representative for the EJB and JPA specifications and as spec lead of the CDI specification. So Ceylon may be promoted by Red Hat and this why it may have a destiny (maybe like Sun?). But why building a new language which is like Java? Stéphane Epardaud explained that most of the developers contributing to the Ceylon project were designing and building frameworks and libraries for java and they were frustrated by the limitations they encountered. Not only from the language itself but from the JVM, too. Ceylon is built with an eye to the strength and weaknesses of Java and with the goal to make it easy to learn, read, develop, and maintain. Then Stéphane Epardaud displayed a first piece of code. There were instructions in the class’ body, parameters in the class signature, no getters/setters, no constructor, no overloading, and the possibility to inherit from several classes at the same time. It was totally different than Java and that was what we were looking for. We will not detail all available features of the syntax of this new language here. You can easily find it there: http://ceylon-lang.org. The presentation rapidly showed some of the features and brought us some misunderstanding and doubts about the readability of a huge application built upon Ceylon. But with one hour length, the conference cannot provide as much information as the website which is well done for an open source project. You can find explanations of each features and how to use them with examples. In addition, you can figure out why they did it like this. Programs run in the JVM for the time being and they can be written in command line, thanks to an Eclipse plugin which opens a dedicated perspective or in a web browser IDE which is being developed. The project is still a “baby” and it is coming to the 0.5 version (Milestone 5). A lot of work has still to be done; a compiler is working but the syntax error explanations are still ambiguous. Lots of projects around Ceylon are started and a community is growing; open source communities are famous for fast development and this language deserves to grow. We strongly hope that Ceydevs (Ceylon’s contributors) will not just build frameworks or APIs as fastly as possible to reduce the gap with Java. But we hope they will build strong modules with clear and limpid documentations in order to lay the foundation of a strong alternative Java language. orarootagent_root : 启动/停止/检查/清除 GNS, VIP, SCAN VIP and network 等资源. I now had to force the Nested Loop join via a hint, because by default other join methods were preferred by the optimizer. The cost of a single iteration of the loop has now increased to 3, although the access is exactly the same as before (T2 random table access via index lookup of T2.ID), and the cost of the Nested Loop join corresponds to the known formula: Estimated starts times the cost of a single iteration, which is 3000K in this case here, plus the 4200 of the Full Table Scan for accessing the outer row source, plus CPU costing overhead.So what makes the difference between the two? It’s the data. The column name chosen for the column in T1 already reveals what’s so special: The join column used (NULL_FK) is actually NULL for all rows.The optimizer takes this into account and assumes that none of those rows from the driving row source will actually match a row of the inner row source – in fact the lookup to the inner row source could be short-circuited in some way, since a NULL value by definition isn’t supposed to find a match for this join. I haven’t investigated to what extent the runtime engine does this, however in the Rowsource Statistics the inner row source is started the expected number of times, although no logical I/O is recorded for it, but some CPU time, so at least some work seems to be done there.Modifying the test case so that more of the FKs are actually non-null shows that the cost calculation is scaled accordingly. In fact the cost calculation is more or less the same than that of a corresponding inner join that could filter out those driving rows with NULL values in the join column.The overall performance of the execution plan is quite decent, so although it looks quite unusual it performs pretty well.In the second part I’ll show another interesting, unexpected join execution plan that however can cause real performance problems.